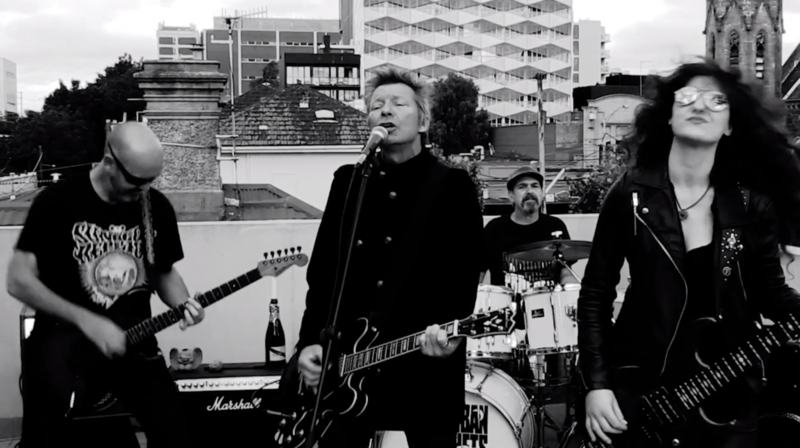 After a busy July of gigs around Melbourne, Suburban Prophets are slowly winding down with just one gig in August on Saturday the 19th at the Whole Lotta Love Bar in Brunswick. 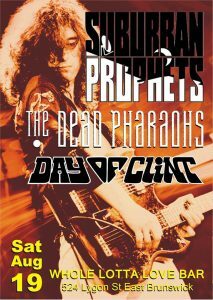 Our partners in crime on the night are the awesome Dead Pharaohs and Day of Clint who have just released a brilliant debut album. This will be a night not to be missed with such great quality acts on the menu. We’re taking all of September off as we take a break to pursue other interests but we’ll be back on the stage later on in the year, stay tuned and thank you all for your support.